The Purple House staff, patients and directors are keen to keep families healthy and to reduce the incidence of kidney disease. They take a broad approach to health education and aim to have an impact across their communities. 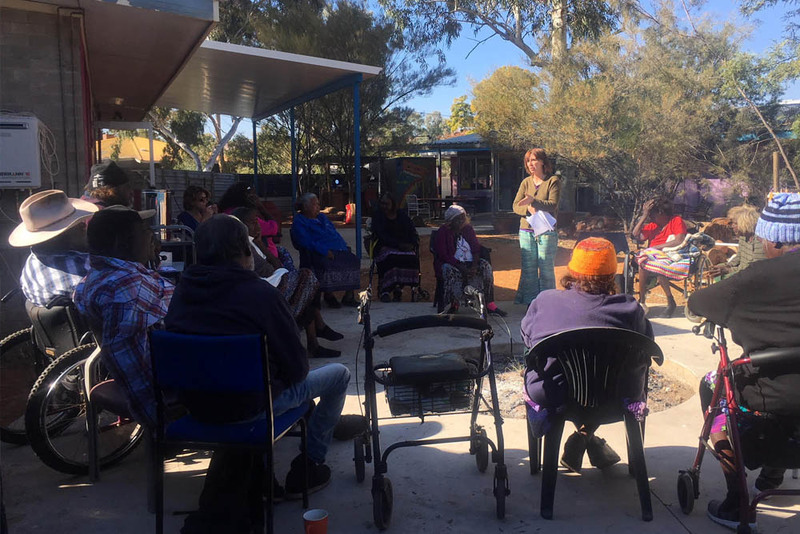 They know that it is hard for many families to eat well, exercise and keep their housing well maintained in remote communities and therefore aim to help make healthy choices easier and want to make sure people to know what they can do to keep their kidneys healthy. Helping dialysis patients to get home to their communities is an important part of demystifying renal disease, encouraging people to engage with health services earlier and slow down the progression to dialysis. For those who have already commenced dialysis, our nurses help them to understand their treatment, what their medications do and ways to stay healthy and active. In remote communities our dialysis nurses are a resource for the whole community on renal issues. The Phosphate Story video is a resource for dialysis patients to provide information on how phosphate can affect their body, what phosphate binders do and why it is important to take them. This development of this resource was by request of the Central Australia Renal Voice (the consumer group for dialysis patients and their families in Central Australia), who identified that they didn’t always know what their tablets were for and that they would like to understand their medicines better. The video is available in Pintupi, Walpiri, Ngaanyatjarra and English and acknowledge the importance of family and culture alongside things like dialysis, diet and medicines in keeping well.